Get a touch of New England from a fir wood cottage shed with a salt box roof, which provides extra vertical space across the front (length) of the building. This prefab shed comes in 8, 10 and 12 ft. widths. 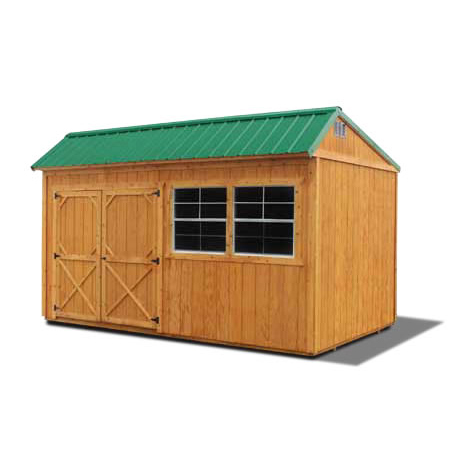 The 8 ft. wide shed features a single wood door and one 2x3 ft. window. The larger models include a double wood door and the windows vary by the shed’s length.